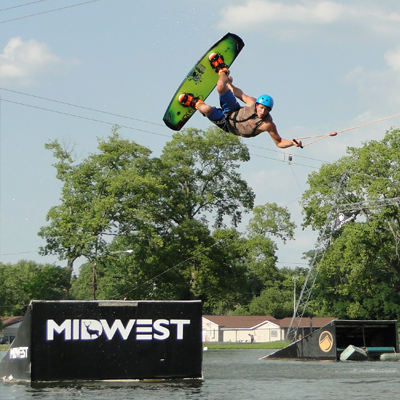 Wake Nation Cincinnati | Ohio's Premiere Cable Park! Closed for winter. See you in 2019! See calendar for dates. No boat? No problem! 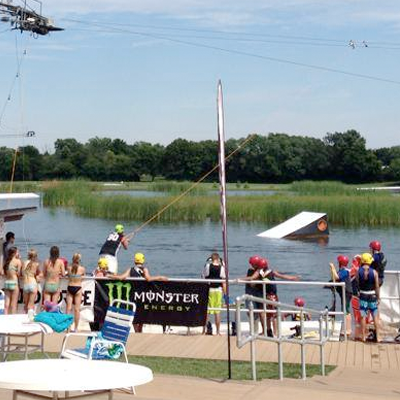 At Wake Nation Cincinnati, riders are pulled by an overhead cable system, making learning fun and easy. Practice speeds (slower speeds) on our main cable are offered daily, the first 2 hours of operations. Teaching is our thing, but for intermediate and advanced riders, we have plenty of features for all skill levels. 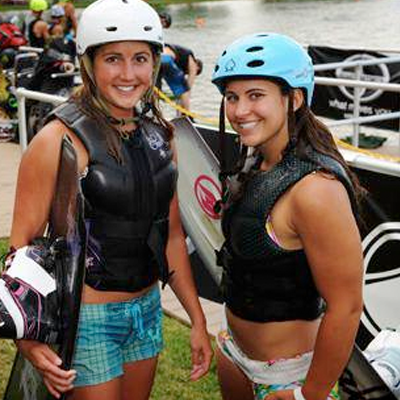 As Ohio’s premier wakeboard school, our wakeboard camp and summer camp programs are sure to boost your confidence on the water! Whether you are a first timer or putting together a contest run, we have several different camps tailored to fit your age, skill level, and personal goals! 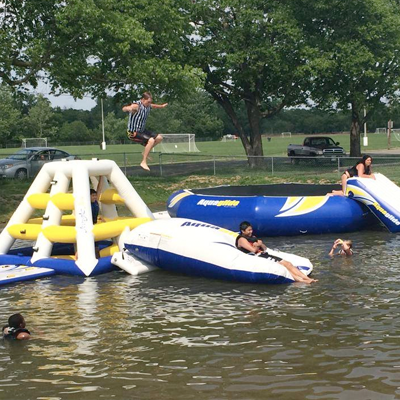 Make a splash this summer at Wake Nation’s newly expanded Aqua Park! 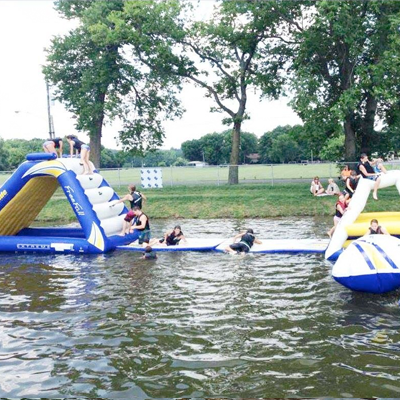 From the trampoline and giant slide to the blob, the Aqua Park is fun for all ages 6 and over. If you are feeling speedy, give the obstacle course a go! Be a kid, no matter your age! 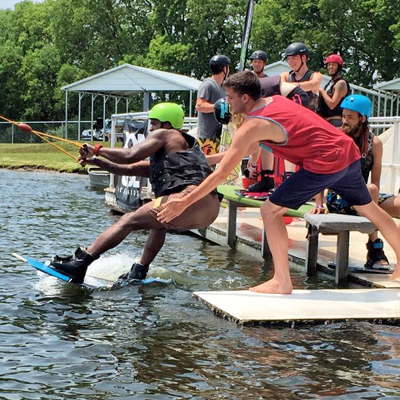 Whether it’s your very first time wakeboarding or you are wanting to learn something new on the boat, cable, or trampoline, quality one on one time with one of our instructors is a sure way to improve your wakeboarding or wakesurfing skills! Wake Nation Cincinnati is a great birthday party venue! From small groups of 4 to as many as you can muster, our staff is here to ensure your child has an unforgettable day with family and friends! Wake Nation Cincinnati is a great venue for your next corporate event or group party. No matter the occasion, we offer activities that anyone in your group can enjoy! See our yearly calendar for our exact months, days, and hours of operations. Be sure to check our Facebook and Instagram pages for any last minute weather updates. Email contact form is on the contact us page.